Are you contemplating selling your advisory firm? Are you thinking about purchasing another advisory firm? This webinar will deal with issues, which impact deal pricing. Registration closes on Tuesday, November 3 at 5:00 p.m. ET. Richard H. Adler is the founder of Red Arrow Capital, a strategic consulting practice serving investment and wealth management firms. He has two decades of experience successfully investing in, and managing, investment management firms—navigating multiple market downturns, financial crises, and CEO transitions. Previously, Rick was CEO and President of Convergent Capital Management (CCM), a multi-affiliate boutique investment management firm he co-founded in 1995. He has a BA in Sociology & Psychology from the University of Michigan and an MBA in Finance from Indiana University. 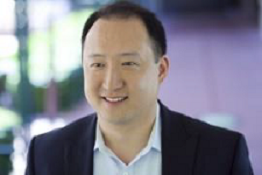 Leonard (Lenny) Chang is Co-Founder and Managing Director of Focus Financial Partners. He is responsible for acquisition activities across the firm. Lenny also works closely with several Focus partner firms to strategically grow their businesses. Prior to Focus, Lenny was with the Boston Consulting Group (BCG), where he worked with institutional asset management and financial brokerage firms. Lenny received his MBA from Harvard Business School and his BS in Economics with dual concentration in Finance and Management from the Wharton School at the University of Pennsylvania. Jonathan Stern, CFA, is Managing Director at Berkshire Capital Securities. He currently co-heads the firm’s institutional and mutual funds practice areas. Prior to joining Berkshire Capital, Jon had spent his entire career at First Union and a predecessor bank, First Fidelity Bancorporation, beginning in 1984. He has extensive experience in the corporate finance area focusing on M&A and capital planning, and was a Senior Vice President responsible for acquisitions and divestitures in the northern part of First Union’s franchise. Jon graduated from The Wharton School of the University of Pennsylvania with a BS degree in Economics and received an MBA in Finance from Rutgers University. For paid registrations, cancellations and substitutions must be received in writing no later than 5:00 p.m. (ET) Tuesday, November 3, 2015. There are no refunds for cancellations received after this date. Email your requests to lisa.gillette@investmentadviser.org.